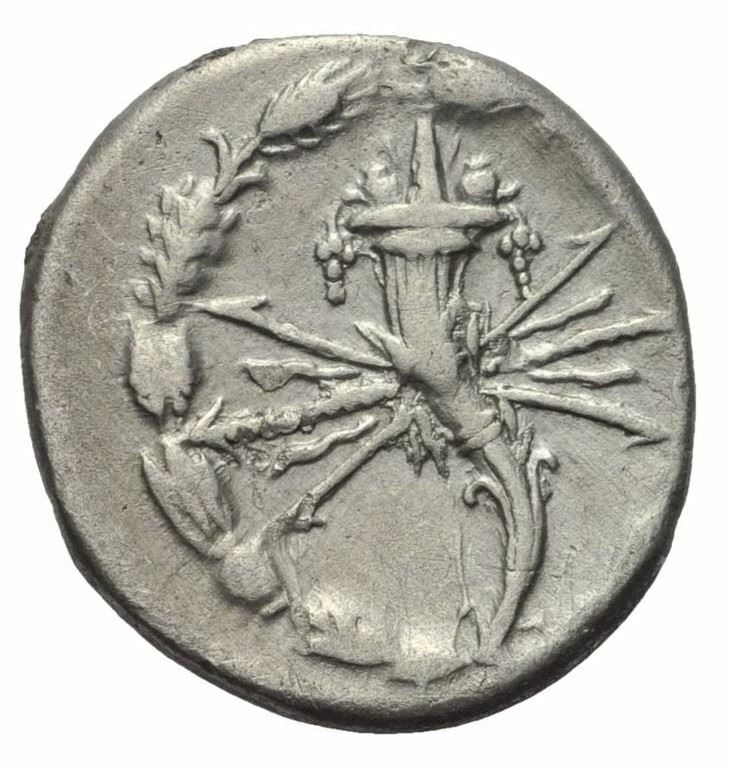 Q. Fabius Maximus was one of the moneyers for the year 127 BC. He is presumably identical to the Consul for 115 BC. A restored issue was also struck for him between 82-80 BC. The most celebrated stirps of the Fabia gens, which bore the surname Maximus, was descended from the Fabii Ambusti. This family was famous for its statesmen and its military exploits, which lasted from the Samnite Wars, in the 4th century BC until the wars with the Germanic invaders of the 2nd century BC.